Incorporating your wedding theme into an outdoor picnic style wedding is super easy. More and more couples are bringing something new to modern weddings by having local gourmet food trucks cater their big day. Not only is it inexpensive, this unique idea highlights both the couple's personal taste and the local cuisine. You could opt to hire trucks in place of a buffet or sit-down dinner or have the truck arrive later into the reception to provide late-night menu or 'surprise comfort food' for guests after a night of champagne and dancing. Compared to traditional catering services, food trucks offer a lot of flexibility when it comes to sampling. Instead of scheduling appointments with caterers, couples can simply wander from truck to truck at their own time. 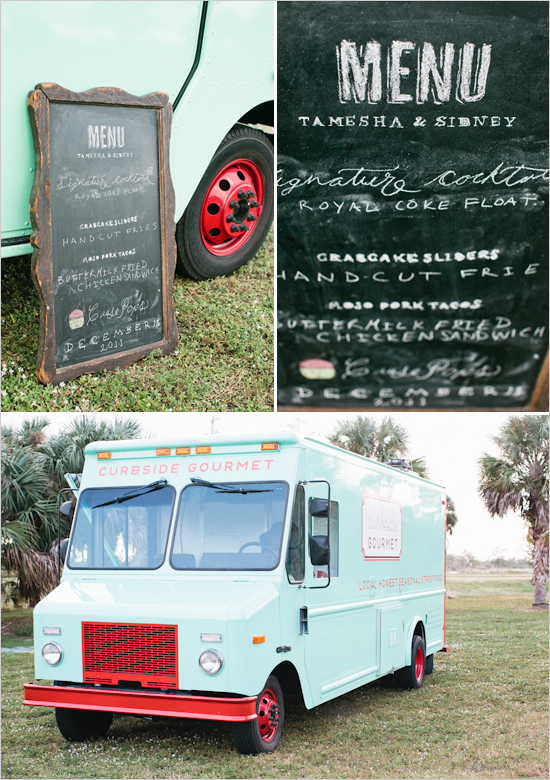 Personalized menus are another feature that many food trucks boast - so you shouldn’t hesitate to ask for what you want. Despite their many advantages, food trucks do have their downsides. Parking can often be a drawback. For example, if the wedding is to take place in a ballroom, there typically is not a prime space for the truck. Also, most food trucks don’t coordinate rentals or offer a full-service staff. You also have to make sure that the truck has insurance and will provide all of the items needed to serve like napkins, cups and utensils. 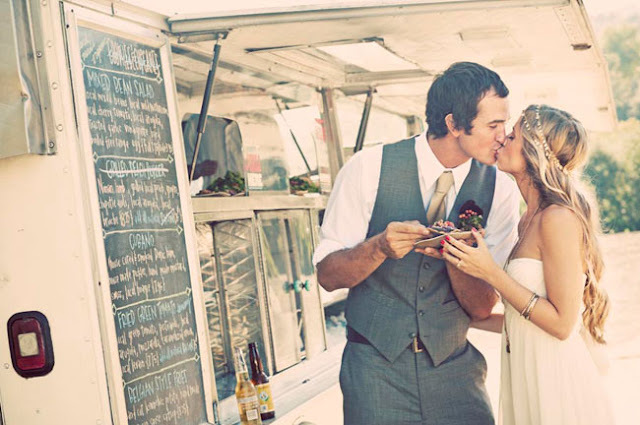 Check out this video from The Knot to learn more about the food truck wedding trend. If you are looking for local Louisville KY food trucks, please do visit the Louisville Street Food online community where you can find out where the local trucks will be on a specific day. good post... we are best catering services in chennai , caterers in chennai and marriage wedding caterers services in chennai . Food trucks for wedding ! One of an excellent way of bringing something new to modern weddings. From this post I will now be planning to get good food catering services in South Florida for any wedding plans. Excited.. thanks.